When Laurie went to college in Chicago, she was all set to embark on a new life. But on the third weekend of her freshman year, Laurie was raped. And everything changed. In the aftermath, Laurie reached out for help. But she didn't get any. Friends didn't believe her. The dean didn't support her. Laurie had to ﬁght not just for justice but for understanding. For validation. Laurie could have dropped out of college, she could have given up, but she carried on. And not even seeing her attacker on campus could stop her. 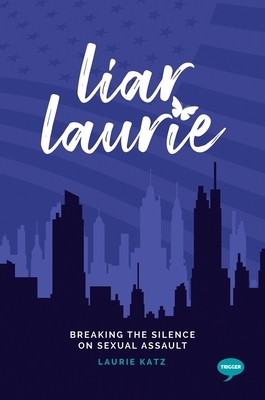 Laurie's story is an all-too familiar account of how the ﬁght for justice is repeated in campuses and courtrooms around the world. Laurie never got the justice she deserved. But she got something else - a resolute sense of her own self, and her own strength. Laurie's #MeToo story is a testament to the strength and courage of people who have been wronged, but never stop ﬁghting back. Laurie is an elementary teacher from Boston, Massachusetts who spent her undergraduate years studying early childhood education, then completed a Master's in Education. Her educational background has honed her empathy, adaptability, and human development skills. Her life was thrown into turmoil at 18 when she was raped on her third weekend of college. After being told not to go to the police, she navigated her university's hearing process and was silenced. She struggled in silence for years, on the brink of suicide, until she was finally able to get help. Through therapy she has accepted that what happened was not her fault and that her life has value. She is passionate about ending sexual assault on college campuses and elsewhere, and helping to expand the conversation on helpful services for survivors. She is now ready to share her own story and help others in the process.